The thing is that there are so many yoga books out there and I had no idea which were the best yoga books to buy, let alone yoga books that were accessible and not too full of yoga jargon with concepts that at that time, I wasn’t ready to digest. I’ve decided to offer you some of my favorite yoga books for you to buy (or borrow from the Library. I’m a huge Library proponent) in order to enhance your yoga and health know-how! I have to disclose fully that they do have a bit of a female bias, but for my male subscribers, you’ll still find a wealth of information applicable to both men and women. I am a beginner at yoga and just subscribed to your podcasts. 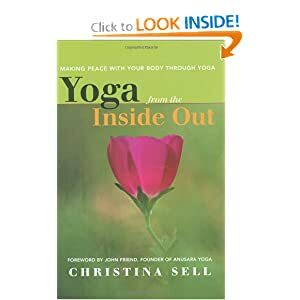 I am interested in reading more about yoga and was wondering if there are any books you would recommend? You can refer to the video above for a more in depth description of why I chose these books, but I’m linking to all the books that I mention below. 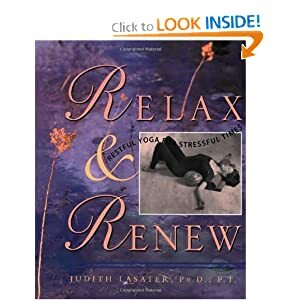 All links to these books are using my Amazon Affiliate links, which will give me a little bit of cash to buy even more yoga books 😉 Wouldn’t you like to support my yoga reading habits? This is one of my all time favorites! I use it for reference all the time. 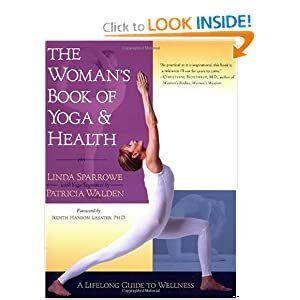 This is a MUST for your yoga library. 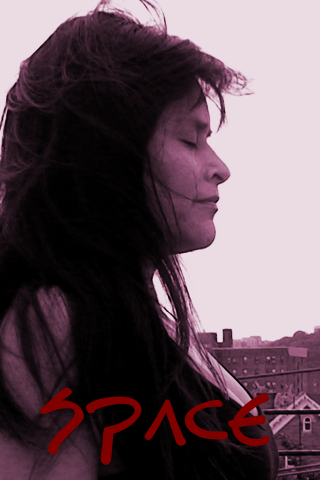 I was able to build a restorative yoga practice at home following some of her sequences. So much great information. 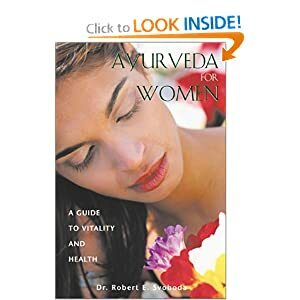 This was the first Ayurveda book that I bought. I now a own a bunch more by Dr. Svoboda and have learned tons about this incredible way of life. I bought this book when I found out I was pregnant. At first I thought that it was meant to be a book for mother’s of daughters but then I realized that it was a book for daughters. All women are daughters. All women have mothers, living, dead or absent. 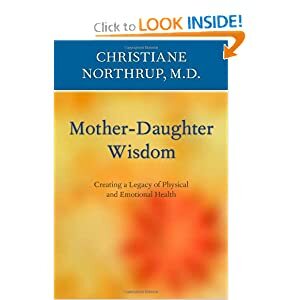 I guarantee that you will be inspired by what you read in this book and how it can help you be as healthy as you can be. Do you have any books to add to this list? I got a comment here on my blog and instead of simply writing him back I decided to give a video answer! The question was all about knee health and whether or not yoga is good for weight loss. I started a running program 3 weeks ago but only succeeded in aggravating a knee/patella (kneecap). my running days are over as I’m in extreme pain. what, if any are the benefits of yoga on knees and joints as well as weight loss? Yoga incorporates the muscles around the joints, increases their strength to create this stability within the joint. Through proper alignment and action, yoga helps maintain optimal blood flow and proper lubrication within joints for more effective movement and overall health. Due to anatomical/biomechanical issues in our bodies, either due to habitual patterns, injuries or genetics certain joints may become more prone to injury. The knee joint is a highly movable joint that often times gets easily aggravated and misaligned. Through proper alignment and action within yoga postures one is able to create the possibility to strengthen, re-align and perhaps even heal an challenging knee. Please remember that this is possible when one practices consistently, consciously and with a qualified teacher to guide the student to become more adept at moving into their optimal blueprint. Any kind of knee therapy requires work and diligence. The majority of public yoga classes are fast moving where focus on alignment is at times glossed over. If you are working with a knee injury, and are new to yoga, I would search to find the best qualified teacher to practice with, attend classes that have a slow pace and incorporate lots of optimal alignment and action within the poses. As we all know, one needs to ingest less calories that one burns in order to loose weight. This is best achieved by doing aerobic exercise. Yoga is not an aerobic exercise. It can certainly get your heart beating fast. It will make you sweat. At times it you may even get out of breath. You certainly will massage and work your internal organs such as your heart and your lungs. You will burn calories. You will tone your muscles. These are some pretty awesome benefits to the practice. Given those benefits having yoga be a part of your weight loss routine is key toward weight loss maintenance, but in and of itself, I don’t believe asana itself can make you loose weight. 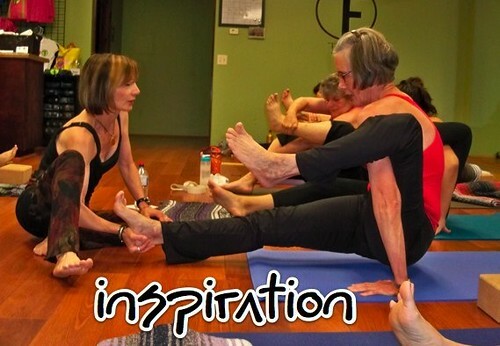 Yoga will give you greater insights of your mind body and heart. Yoga will push you to places that may at times prove to be quite uncomfortable. Yoga will force you to make choices. Yoga will offer you new ways of seeing the world. All of these things are great assets toward being a healthy human being, from the inside out. When you choose to practice yoga you will inevitable begin to make better and better choices for yourself, and one of those choices can be living within your optimal weight and being the best that you can be! So there you go, those are my thoughts about knee joint benefits and weight loss from a yogic perspective!